Day 5 Transcript: Thank you for joining me for the National Podcast Post Month Version of the Health Fitness Beauty Quest. My name is Jennifer Navarrete. Today, I thought I would share the other two shows I am recording during NaPodPoMo. Healthy Building Blocks with Penny Muckleroy. Penny is a Certified Integrative Nutrition Coach and each day she shares health nuggets of information. this week the topic is Health and Wellness IQ. Penny shared what a health and wellness IQ is, how to transition to a healthier lifestyle, where to find fitness buddies, how to avoid sabotaging your own health when eating out and one topic that was particularly interest, How your family may be the biggest obstacle you face when you choose to lead a healthier lifestyle. 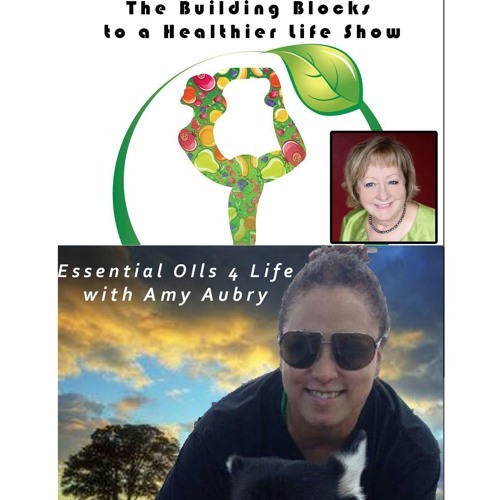 To listen and glean some of the health and wellness iq nuggets, go to blogtalkradio.com/healthbuildingblocks The next podcast is Essential Oils 4 Life with Amy Aubry. Each day Amy shares personal stories about how she uses essential oils. This week the topic has been about essential oils and personal care. From sugar and salt scrubs to aromatherapy, dental care and more. Next week she will share how essential oils can be used as non-toxic household cleaners. You can listen to Amy’s show at blogtalkradio.com/essentialoils4life While I am acting as interviewer and co-host on these shows. The main purpose of these two shows was to help Penny and Amy learn podcasting quickly. There is not time for fear. Plus NaPodPoMo is great for improving the learning curve. After all, who has time to freak out about a bad show when another is coming up the next day. Both of these ladies have so much knowledge to share that you can probably hear me typing away as I jot down their nuggets of wisdom. Naturally these two shows tie into the Health Fitness Beauty Quest in a big way. Take a listen and let them know what you think.